If you would like a straight track cutting down please specify the length in cm you would like the track cutting to. The length boxes above are price bands so please ensure your cut to size request is shorter than the length specified. If this box is left blank we will supply the track at the standard lengths (options above). Please note if you are recess fitting the track (i.e. 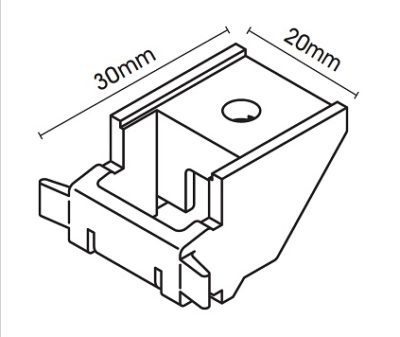 fitting the track in between 2 walls) we recommend you take 15mm off the total track length. 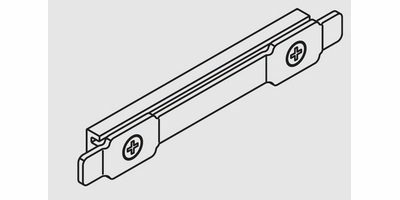 We will make all bay window tracks to the measurements provided on the form (so please leave this box blank). Please advise the installation height of your track (from the top of the track to the floor) so the cord drop complies with the legislation and finishes 1.5m above the ground. We will deduct 150cm off your installation height to generate the cord drop i.e. if your installation height is 270cm your cord drop will be 270cm – 150cm = 120cm cord drop. A strong and elegant corded curtain track suitable for medium weight curtains. Supplied as standard with 16 gliders per metre and universal brackets that can be wall or ceiling fixed. 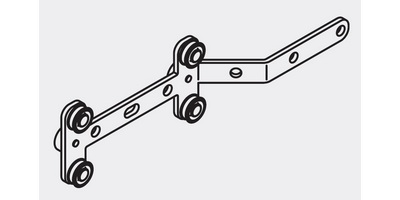 Please note this track is supplied with a nylon overlap arm as standard. Please add ‘Metal overlap arm’ to your basket (please see accessories below) if you would like to upgrade to the metal one and we will ensure this is applied to your track specification. Silent Gliss recommend that straight tracks over 400cm are corded both sides. Please add the ‘corded both sides’ to your basket (please see accessories below) and we will ensure the track is corded both sides for you. You may also wish to consider this on shorter lengths if your curtains are on the heavy side of medium, or if you would like to operate your curtains independently to each other, to block out the sun on one side of your room for example, or if you have one curtain that is wider than the other. 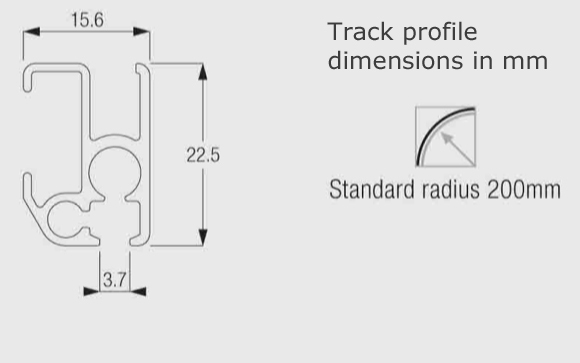 This does mean the track will come in 2 pieces with an intermediate pulley. Please advise the installation height of the track in the required field. This is the measurement from the top of the track to the floor and is to ensure the cord drop finishes 1.5m above the ground to comply with the legislation. If you don’t know this measurement please enter ‘not known’ and a 1m cord drop will be supplied. The overlap arm is supplied on the right hand side as standard. Again please let us know in the notes section at the checkout if you would prefer it on the left hand side. The 3000 track can also be bent for a bay window. We do need to bend this track for you. Please download our quotation form here for a bay or L shaped window. 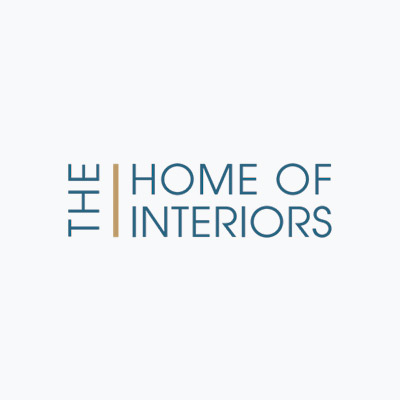 Please email your measurements to sales@thehomeofinteriors.co.uk and we will gladly provide a quotation. If you have any questions, need any advice or would like a quotation for anything that isn’t the standard specification please call us on 01625 449039. Please click here to view the Silent Gliss 3000 Corded Curtain Track Brochure that contains all the specification details that may be useful. 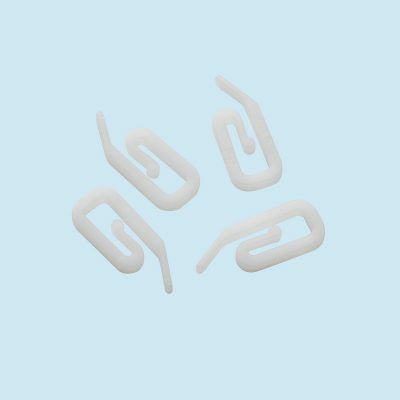 No of End brackets: This track comes with the recommended number of Silent Gliss brackets. The formula for working out the quantity of brackets is: (track length divided by 67) round it up to the nearest whole number and add one!